He's won three NBA Championships (2003, 2005 and 2007) and did it mainly for what many called "dirty" play. 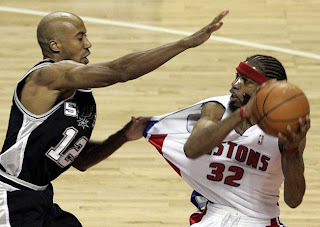 Bruce Bowen was a defender, an up in your face one at that. When he wasn't sticking to you like glue he was nailing three-pointers from deep in either corner, crushing opponents hopes of prevailing with a win and doing his part to bring home a title for his team. 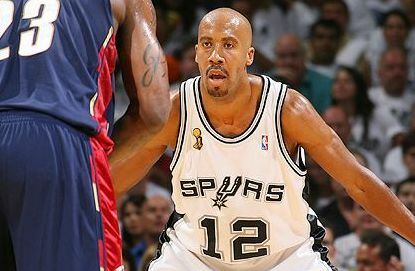 Well in doing that, Bruce Bowen's No.12 jersey will be retired. Bowen will be the seventh member of the San Antonio Spurs franchise to have their number retired joining, Johnny Moore (No.00), Avery Johnson (No.6), James Silas (No.13), Sean Elliott (No.32), George "Iceman" Gervin (No.44) and David "The Admiral" Robinson (No.50). Well for all that "dirty" play and jewelry, it must be an honor to know that everything you gave a franchise no one will ever wear your number again, at least without permission. Must be a humbling feeling. 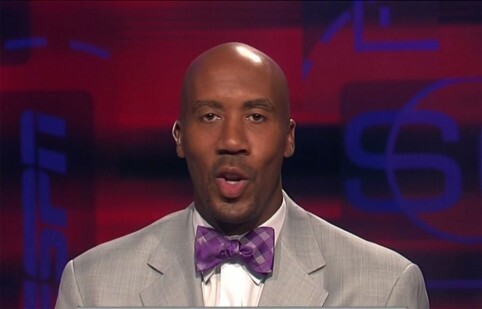 And oh how we cannot forget those Bruce Bowen bow ties, will those be retired as well, we don't think so. It fits him, stands out like his trademark defensive game.